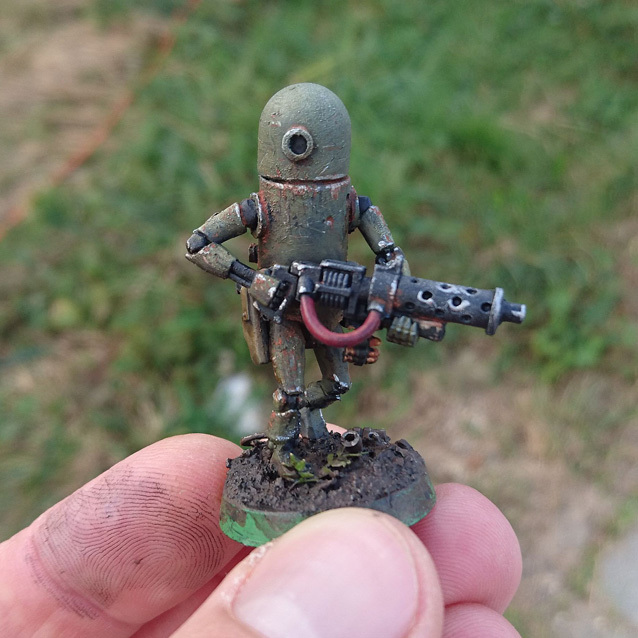 Have you read the comic "world war robot"? 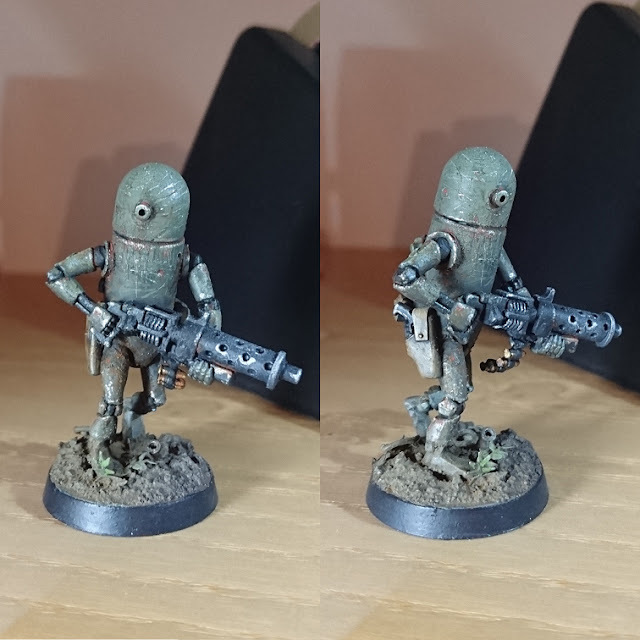 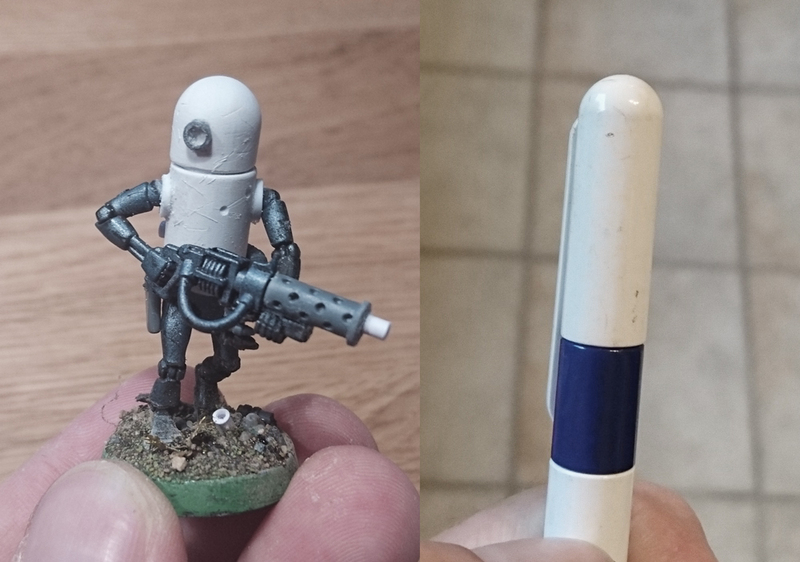 This is another addition to my yet quite small band of robot rebels that fight for their part of the underhive. I wanted to to something like that for a while, but i never found a suitable base model until this old biro found it´s way into my hand. 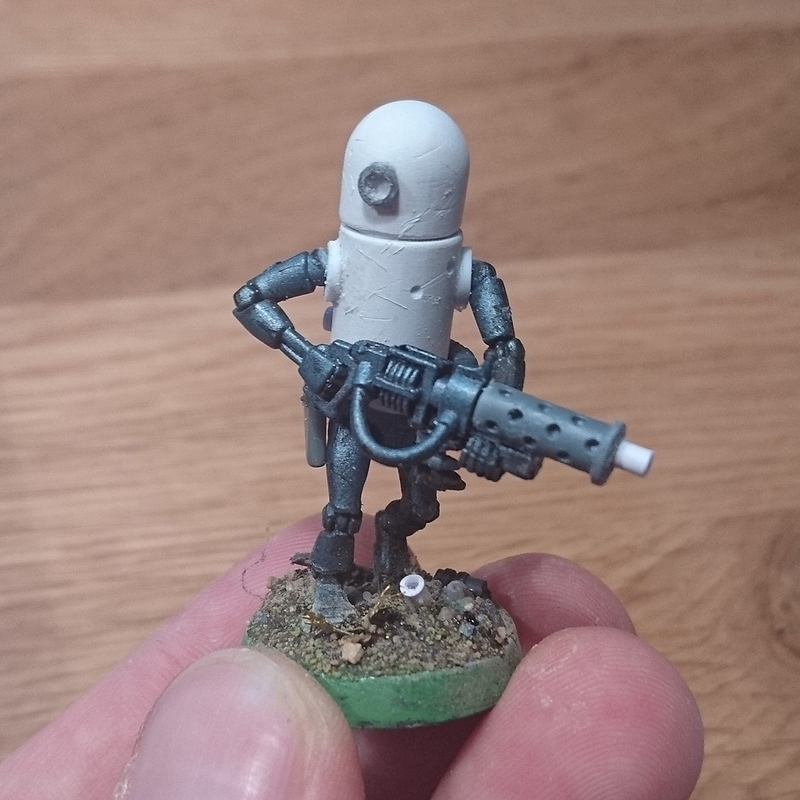 I know this is much to funny for the grimdark of 40k, but it can´t always be the orks alone who get the smiles.